Here are a couple of pictues of some of my baking creations. Sorry no glue or glitter here. LOL Cupcake mode has stuck again. First up Christmas Wreaths. Those of you who follow me know I rarely use bows in my crafts. Why you ask? Just take a look at these bows on the cupcakes. LOL. I used twizzlers cherry string licorice. The only good thing about the one's that didn't make it to the cupcake were eaten. LOL.I used Duncan Hines yellow cake mix and covered with vanilla icing. 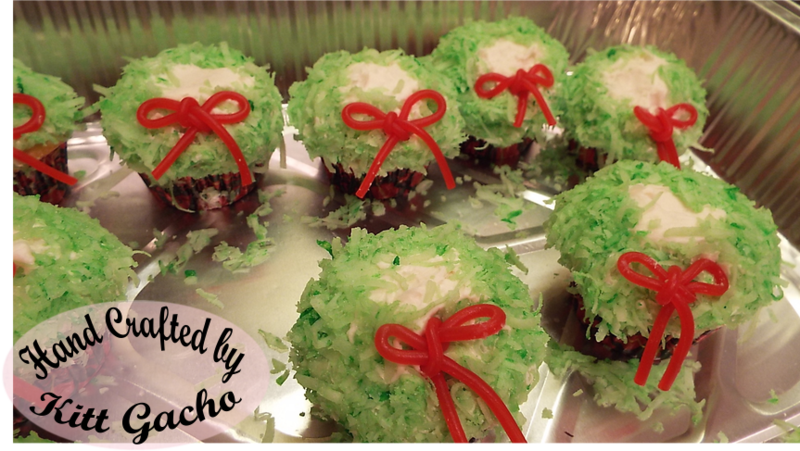 Then I used coconut flakes that I colored green with food coloring for the edges of the cupcake. 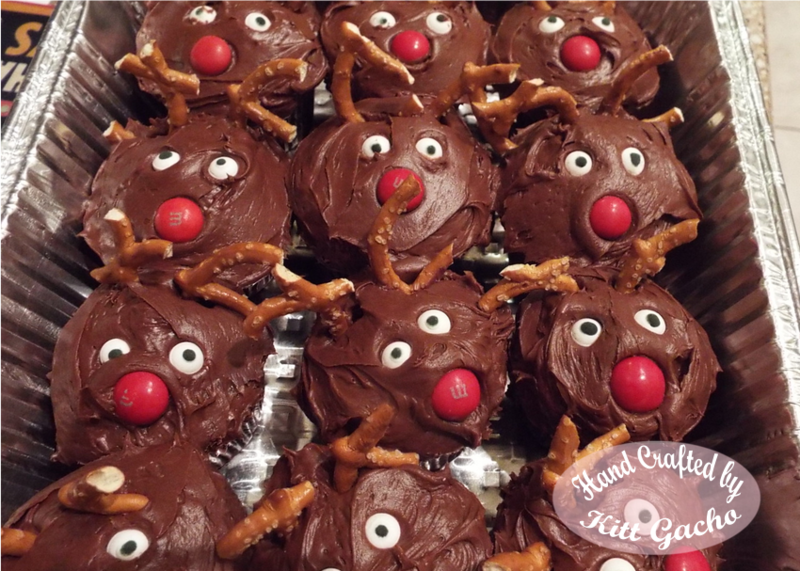 What would be Christmas without some Rudolph cupcakes? The icing is Hershey caramel chocolate. The eyes are hard candy that I found at Walmart. I used pretzels for the antlers and M&M's red mint flavored chocolate for his nose. It was Duncan Hines Devil Food Chocolate cake mix.